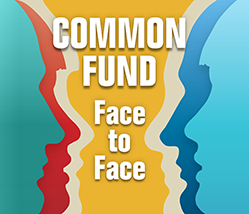 Welcome to Common Fund Face to Face! This page takes you beyond the published research and directly to the people that are conducting it. Every scientist has a backstory where something sparked their curiosity as they were growing up and drove them in the direction of their current research. Face to Face digs down to find out what that is and has a little fun along the way! The main section is the Face to Face feature that highlights one Common Fund awardee per month. We also feature a video that was submitted in the Common Fund's video competition. 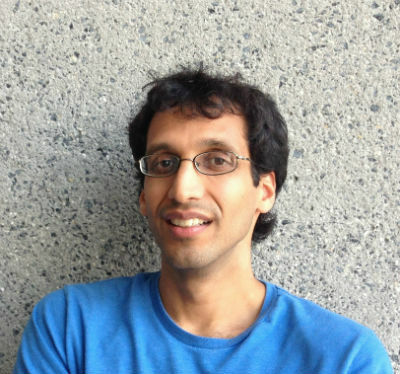 Face to Face Feature: Dr. Arjun Raj, Ph.D.
Common Fund Connection: Dr. Raj is a 4D Nucleome awardee. Can you tell us about your discipline and where you are conducting your research? I work at the University of Pennsylvania in the Bioengineering Department in the School of Engineering and Applied Sciences. Our lab studies systems biology, which for us involves the development of new quantitative methods for measuring things about cells and then applying those methods to ask how cells work. For instance, our group has used techniques to visualize individual mRNA molecules that allow us to answer questions about how genes are read out. Could you explain your Common Fund-supported research in a few sentences? The genetic code, which is inside each and every cell in the human body, is like a blueprint for life, and every cell must read that blueprint out in order to function properly. Different types of cells read out the blueprint in different ways: some cells may read the “skin” blueprint, while others read the “liver” blueprint. Our work probes, down to the single molecular level, how the blueprint is read out, and whether random errors in reading the blueprint can have either harmful or beneficial effects. My background is actually in mathematics and physics, and I had no intention of becoming an experimentalist. I was in the math PhD program at NYU studying mathematical biology, and after my first year, I asked my advisor, Charlie Peskin, if I he knew a lab I could work in for the summer, just to “keep it real” and get some sense of what experiments were like. I had absolutely no intention of doing experiments beyond just the summer, and certainly not as a major part of my career. So I went to work with Fred Kramer and Sanjay Tyagi, whose lab is located in Newark, and spent the summer purifying molecular beacons and characterizing their thermodynamic properties. Working in their lab was a revelation! I found myself swept up in the energy and excitement of molecular biology, and found, much to my surprise, that I actually loved doing experiments. It has been the combination of mathematical thinking and molecular biology that has guided my career ever since, and I’m very grateful to have had such open-minded advisors at that formative period in my life. I don’t think I’ve ever really had a breakthrough in the lab, but I do still vividly remember this time in graduate school when I was trying (and failing, repeatedly) to visualize RNA spots in the microscope for the first time. I kept failing, and only seeing blank cells time after time. Then, one day, I changed some buffer concentration, and suddenly there they were, bright, beautiful spots! 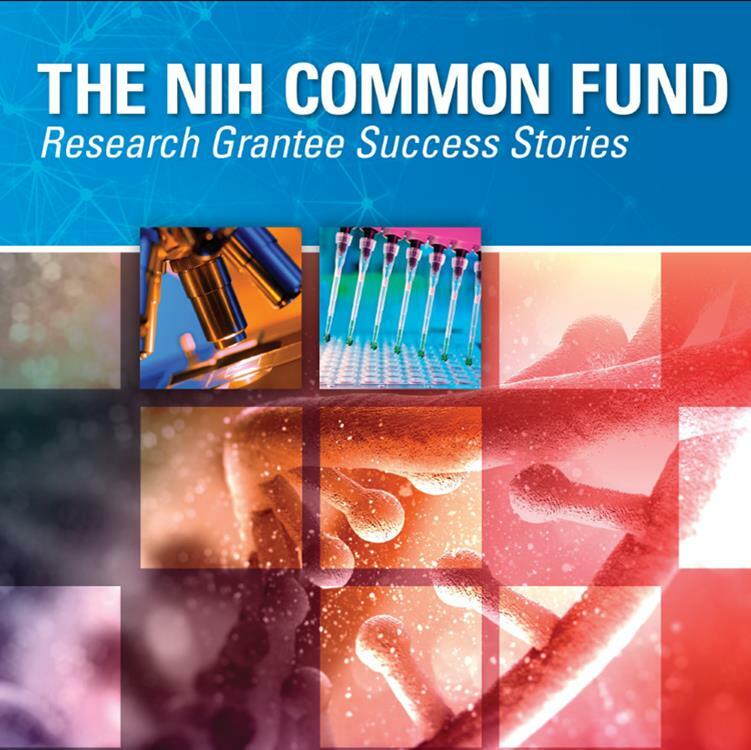 It was not a major breakthrough, since it was actually just replicating something already out in the literature, but it suddenly felt like the world opened up with possibilities, and I ran to show my advisor, Sanjay Tyagi, right afterwards. There have been many such moments since then when we see something new in the lab, often in the dark of the microscope room, and it’s a wonderful feeling to share now with my own trainees. I am most proud of my work with trainees. I am so lucky to work with talented, dedicated young researchers, and I love being able to help them develop their abilities as scientists and people. Whatever their ultimate path, I like to think I have given them guidance that will help them in their careers and their lives. I strongly believe that this form of education and mentorship is critical for promoting scientific values and ideals in our society, and I take that responsibility very seriously. I’m always amazed that cicadas and other insects can wait underground for well over a decade and then all come out at the same time. How are they counting down there? They don’t have a calendar, after all. I really enjoy writing and would love to be a writer. I could envision myself writing either non-fiction or fiction, but if I were to write fiction, it would definitely be heavy on the action, like maybe action movie scripts. To view our previous Face to Face features, click here. MoTrPAC will allow researchers to develop a comprehensive map of the molecular changes that occur in response to physical activity. 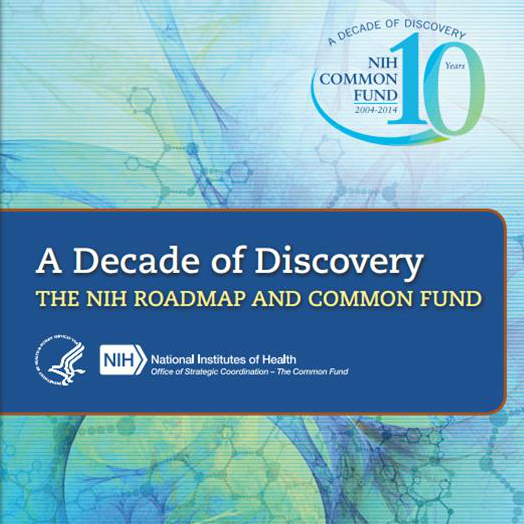 In this video, NIH Director Dr. Collins explains more about this program in the video below. Did you know that the Common Fund hosted a Video Competition? Check out the videos!